The Virginia Freedom of Information Act allows any citizen, except incarcerated felons, to access public records within Virginia. 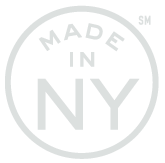 These public records include all documents in any form that are owned or prepared by the government. 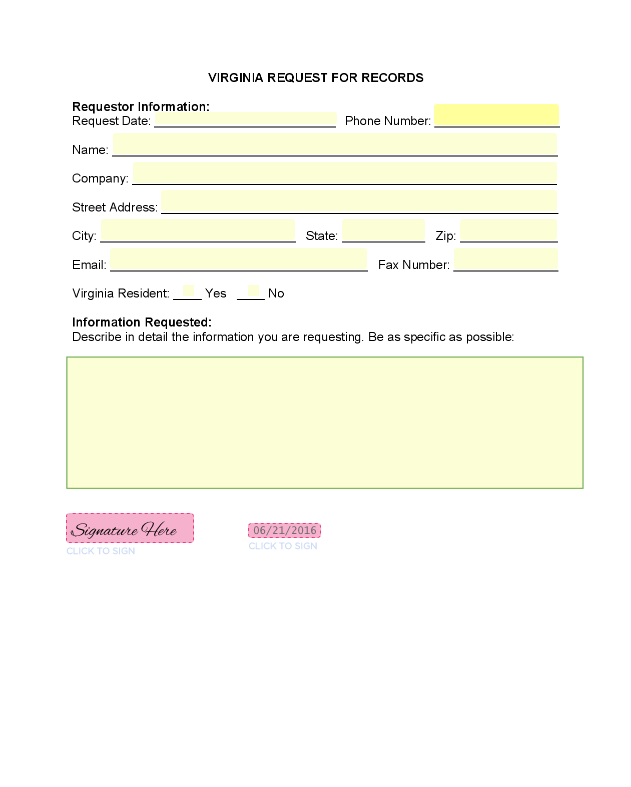 This is a template form for requesting public records in Virginia. We have curated some of the most commonly asked questions for you. Public records" are basically anything the government uses to transact public business. Whether written on a computer screen or chiseled onto a rock, if it's about public business, it's a public record. Can I make a FOIA request for a deed of trust held by the clerk's office? Yes, if you are at the courthouse asking for a paper copy of the land record. Only land records on the clerks' secure remote access subscription services are outside the scope of FOIA. How do I know which records to ask for? Citizens are not expected to know what every government records is called -- either the name, the number or the function. FOIA requires only that a request for records be reasonably specific, but sometimes records custodians genuinely don't understand what is being asked for. The Library of Virginia has a records retention schedule for local and state governments. It describes the types of records the government might hold, and it tells the government how long it must hold on to the record before it can be disposed. The records retention schedules are thus an excellent resource for requesters trying to determine exactly which records they need to ask for. Click here for the schedule of state records, and click here for the schedule of local records. Easily search and sort through all of your submissions and records. You can set pre-defined tags or create your own to keep track. Use the powerful Conversations feature to notify any requestors. Keep up to date with recent Govtech and Innovation News. A record number of FOIA lawsuits were filed in 2015, reflecting a recent trend of increasing numbers of FOIA lawsuits. The implications of Senate Bill 272 on local agencies in California and how agencies can comply with the new requirements. We can't wait to reduce the pain of FOIA and giving you a big win for your city. © SeamlessDocs 2015. All Rights Reserved.